 Discover the answers to Frequently Asked Questions about ImagXpress below. Can I move a license from one machine to another? Currently there is no way to move a license key from one machine to another. Once a license key is tied to a machine, you can remove it from the machine (using the License Manager or manually deleting it from the registry), but that will not credit a license to your account. That said, if you run into an issue where you have licensed a machine by mistake, please contact sales@accusoft.com as they will work with you. We understand this is a current limitation of our licensing system and don’t want you to be adversely affected. Also, typically a development license comes with three "keys", so if you want to license an additional machine you most likely can. Run and log in to the License Manager and you can see the number of license keys remaining. Does Accusoft Licensing Talk to Accusoft Servers at Runtime? No, although if you run an Accusoft licensing utility (as opposed to an OEM key) that will communicate with the Accusoft servers to place a license on your machine. That's it. When you run your code, network access to Accusoft servers is not necessary. How Can I Determine Which Operating System and Version of Visual Studio is Supported in my Application? How can I troubleshoot my ActiveX webpage application? If your ImageGear application does not initialize in a browser, the following may help to solve the issue. For ImageXpress ActiveX applications, the same general troubleshooting steps apply. The most common cause of ActiveX controls not loading is missing dependencies. For example, to use the ART component, you must add the following associations. The Deployment Packaging Wizard will provide you with all required .ocx and .dll dependencies that you will need to include with your application. If you are using a .cab file, all of the dependencies from the wizard must be included in your .cab, and referenced inside an .INF file. See a sample .INF file. How do I connect the ImagXpress and NotateXpress controls in ActiveX? If you are in another development environment, call the NotateXpress SetClientWindow method, passing the window handle of the ImagXpress control via the Hwnd property on the ImagXpress control (example in Delphi). If you are using NotateXpress by reference in Visual Basic, you can call the SetClientWindow method also. If neither of these methods are available, use the InterfaceConnect method. Please note: You must have received unlock codes in order to distribute applications. These are received when runtimes are purchased. If you have not received them please Contact Sales. To copy an image from the ImagXpress 8 .NET control, you can use the ToHdib method of the ImageX class as outlined in the code samples below. The sample code assumes the image data is in 1 bit per pixel format. I’m getting “PDF format unsupported” or “Error 1062” when loading a PDF. Why? Note: PDF support is deprecated in ImagXpress, please use PDF Xpress instead for PDF support. We strongly recommend using PDFXpress to load the wide range of PDFs documents. Visual Basic 6 sample compilation may fail throwing an exception, “System.OutOfMemoryException”. This is a known issue with Microsoft Visual Studio 2013 MSBuild component. To fix it, you need to change the project target to .NET Framework 3.5 and rebuild the project. After a successful sample run, you can switch the target back to .NET Framework 2.0 and continue working with the ImageXpress VB6 samples. What Camera RAW formats do you support? What DLL’s do I need to distribute with my application for ImageXpress? This information can be found in the Distributing ImagXpress section of the help documentation. .NET Help. ActiveX Help. When I try to print an image using PrintPRO, it appears to be warped. Why? When should I apply image cleanup operations on my document images? There are a number of cleanup operations that you can use to make an image more suitable for a particular application. What you observe visually on the image and how you perceive its impact on your project is the most important. For example, if you’re noticing very many random specks on your image, and you’re planning to use OCR, then you may want to try a depseckle or blob removal operation first. If the content in your image looks a bit slanted, you could try a deskew or rotate operation. In some cases, using a line removal operation on forms that have grid fields could be helpful also. The amount of image cleaning you may need to do can very from project to project. There’s not a one shot cleaning operation that will always work for all images. But, observe the nature of the noise and interference in your images to determine what general parameters appear to provide the best results. Where are the Licensing Configuration Files? Go to your Products tab. Click the product/version you want to license. Click “Generate Config File” for the product you would like a config file for. Where can I find “How To” type sample code that demonstrates the usage of the control for ImageXpress v10? The downloaded development kit includes code samples for supported platforms. Samples are available through the Start > Programs > Accusoft > ImagXpress menu. Where can I find additional “How To” type sample code that demonstrates the usage of the control for ImagXpress? Please refer to the "How To" section in the User Guide section of the appropriate Help File (.NET or ActiveX) for sample code showing the use of the control. Where can I find licensing information for my SDK product? To find your license for any of our SDK products (on Windows), navigate to the Registry Editor. You can reach this by visiting the Start Search bar and typing “regedit”. From there, navigate to: HKEY_LOCAL_MACHINE -> SOFTWARE -> ACCUSOFT -> Licensing -> Accusoft You will see several keys that look something like this: 5-43-22 If you double click on these values, you will get a dialog box with the Value Data already selected for you. This data is useful for Support Engineers when diagnosing SDK Licensing Issues. Each license stored in the registry is located in a key with a unique name. The name identifies key attributes of the license (Product, Version, Features) in the format ***-***-***. The first number specifies the product, the second number specifies the platform, and the third specifies the version. Below is a breakdown of each Product, and its corresponding product ID: 1 – IMAGE_GEAR 2 – VISIQUEST 3 – IMAGE_GEAR_DOT_NET 4 – NETVUE 5 – IMAGE_GET_DOT_NET_MFA 6 – BARCODEXPRESS 7 – IMAGXPRESS 8 – TWAINPRO 9 – PRINTPRO 10 – THUMBNAILXPRESS 11 – NOTATEXPRESS 12 – PDFXPRESS 13 – OCRXPRESS 14 – MICRXPRESS 15 – SMARTZONE_ICR 16 – FORMFIX 17 – SCANFIX 18 – ISISXPRESS 21 – IMAGE_GEAR_JAVA 22 – FORMDIRECTOR 23 – SMARTZONE_OCR So, using the same example as above, 5-43-22: 5 corresponds to ImageGear.NET , 43 is what type of Platform you’re on (Win32, Win64, Linux, etc.). 43 specifies that this license is for any CPU. 22 is what version of the product the license is for. In this case, it’s ImageGear.NET v22. Why am I unable to obtain a license using the License Manager? One possibility is that you have strict firewall settings that are preventing our License Manager from connecting with licensing.accusoft.com, our licensing server. In order to connect with licensing.accusoft.com, you'll have to make an exception in your firewall for our License Manager so that it can connect to licensing.accusoft.com on port 80 for http and port 443 for https. Why did my license stop working? There are a couple reasons why a license might stop working. The most common would be if the MAC addresses changed (on a virtual machine, or after significant hardware change). Additionally, a temporary two week license can be put on a machine via the Server Licensing Utility if there are no licenses available when you license a machine. Feel free to contact us at marketing@accusoft.com if you have additional questions. If you want a new license please contact sales@accusoft.com. Why do I get a “80040154 Class Not Registered” error when using the License Development Kit on IIS? If you are receiving a "80040154 Class not registered (Exception from HRESULT: 0x80040154 (REGDB_E_CLASSNOTREG))." 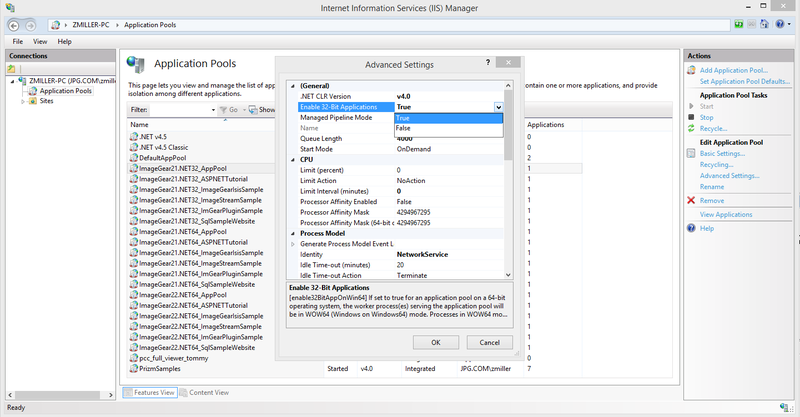 error while trying to use the LDK on a website created through IIS, it is likely because of a platform conflict (x32 vs x64). To fix it, try checking (or unchecking) "Enable 32-Bit Applications" for the App Pool associated with the website. Why do I still get the “Accusoft Licensing” popup after I have licensed my machine? You have licensed your machine with a runtime/deployment license and you are not calling the SetSolutionName and SetSolutionKey methods in your code. By default, Accusoft products will look for a license in the registry at this path: HKEY_LOCAL_MACHINE\SOFTWARE\Accusoft\Licensing\Accusoft. However, for runtime licenses, they are stored at HKEY_LOCAL_MACHINE\SOFTWARE\Accusoft\Licensing\YourSolutionName. So, when you call SetSolutionName, that tells your application to look in the correct directory to find the runtime license. You can find the necessary parameters for these methods on the customer portal customer portal. You did not successfully install a license on your machine and the temporary license installed has expired. If you use the SLU (Server License Utility) or the LDK (License Deployment Kit) to license your machine and it fails, a temporary 14 day license will be placed on your machine. When that expires, you'll no longer be able to use the product. If this happens, you'll need to run the SLU or try using the LDK again. If that doesn't work, you might want to try licensing your machine in offline mode. You are trying to use a development license and you are calling SetSolutionName and SetSolutionKey in your code. You should only call SetSolutionName and SetSolutionKey in your code when you are deploying your application and using a deployment license. When you install a development license on your machine, it is placed into the registry at the following path: "HKEY_LOCAL_MACHINE\SOFTWARE\Accusoft\Licensing\Accusoft". When you call SetSolutionName in your code, you are telling the control to look for a license at a different path: HKEY_LOCAL_MACHINE\SOFTWARE\Accusoft\Licensing\YourSolutionName. If you are calling SetSolutionName and SetSolutionKey while trying to use a development license, simply comment out those lines for now. The license information you've entered might be wrong. Check on the customer portal to make sure you've got the values parameters for the SetSolutionKey and SetSolutionName correct. Why is my IIS app getting “Permission Denied” on C:\Windows\Temp\Accusoft? Give explicit permissions for each app pool user (e.g, IIS AppPool\[name]) on C:\Windows\Temp\Accusoft. Why, when I tried to run the SLU, do I get a ” Component ‘COMDLG32.OCX’ or one of its dependences not correctly registered” error? This error happens if a particular deployment machine doesn't have the COMDLG32.OCX file registered. To fix this: 1. Install the comdlg.ocx dependency, if not available on the target machine. If the comdlg.ocx is not present on the system than it will need to be obtained from a system that has it (it should be available on your development machine in the directory mentioned in step 2). 2. Place the file in the C:\Windows\System32 folder. (C:\Windows\SysWOW64 on a 64 bit machine) 3. Register the DLL via the regsvr32.exe command. 4. You should see a successful message and then be able to proceed with the licensing installation.